Purpose is what you do, not what you claim. and stand out from the crowd. if you are to embark on this incredible journey." about the secrets of organizational greatness. no leader should miss reading. purpose. This book can show you how." Purpose is what you do, not what you claim. Purpose helps you create a branded experience that your customers and employees will fall in love with. Purpose is when you stand up for something, and stand out from the crowd. Why do you need Purpose? Quite simply, showing you have an authentic and credible sense of purpose – a reason why you exist beyond the desire to make profit – drives commercial value in an increasingly competitive world. 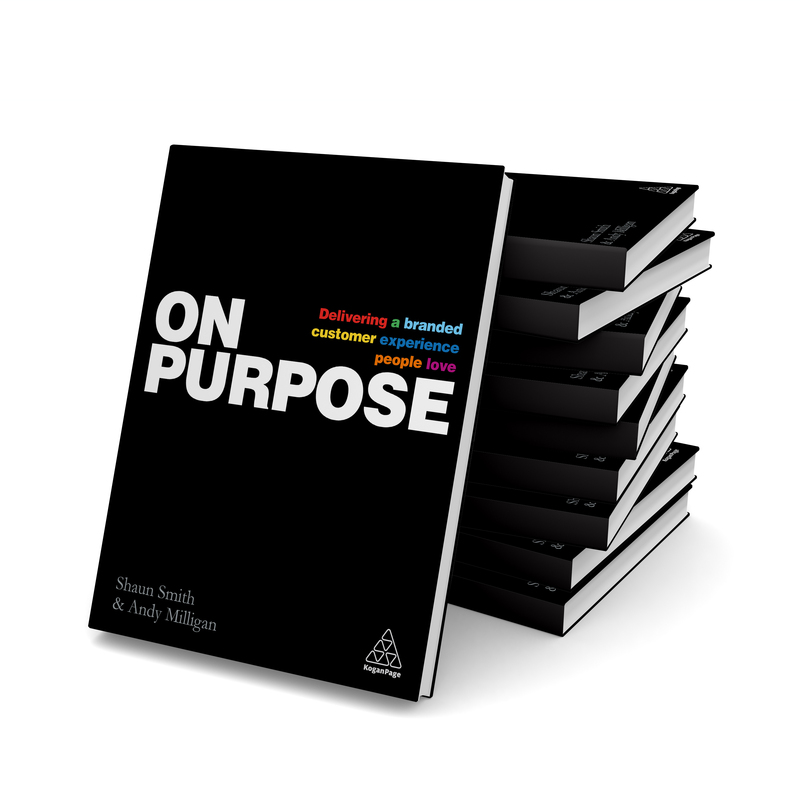 In this book, award-winning business authors Shaun Smith and Andy Milligan research and explore these three dimensions in detail, and explain how On Purpose businesses never stand still, continuously anticipating and responding to the changing needs of customers and wider society. Understand the principles of the three types of Purpose, and the 8 practices common to all purpose-led brands. Learn from inspiring interviews with leaders of successful On-Purpose brands including Vernon Hill (Metro Bank), Patrick Dempsey OBE (Premier Inn), and Mike Fairman (giffgaff). Discover the tools you need to define, design and deliver a purpose-driven brand for your own organization. How can you be On Purpose? for something they believe will deliver true value and improve the lives of their customers. from competitors by intentionally delivering a distinctive customer experience across all channels, that is consistent with their promise. Read the first chapter of On Purpose for free. 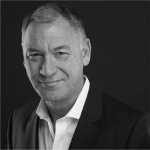 Shaun Smith is founder and partner of the customer experience consultancy Smith+Co which works with leading brands around the world. A thought leader on the subject of customer experience strategy, he speaks internationally on the subject. He is the co-author of Bold: How to be Brave in Business and Win, Uncommon Practice and Managing the Customer Experience. 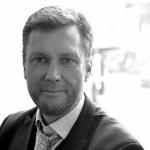 Andy Milligan is the founder of The Caffeine Partnership, which works with leaders to deliver brand-led growth. A leading international consultant on brand and business culture. He has worked for 25 years advising major organizations on brand building, customer experience and internal culture, and appears regularly in the media to comment on brand issues. He is the author of Brand it Like Beckham and co-author of Bold: How to be Brave in Business and Win, Uncommon Practice and Don’t Mess with the Logo. There are a number of reasons why a company will fail – and they all boil down to a failure of purpose. Andy Milligan talks about what can go wrong with a company’s purpose. Translating “Why” into “What” & “How”. How do you become a purposeful brand? The On Purpose toolkit is about HOW to answer that question & deliver a branded customer experience people love. The toolkit is a straight-talking (and completely free!) resource to help guide you through the process. 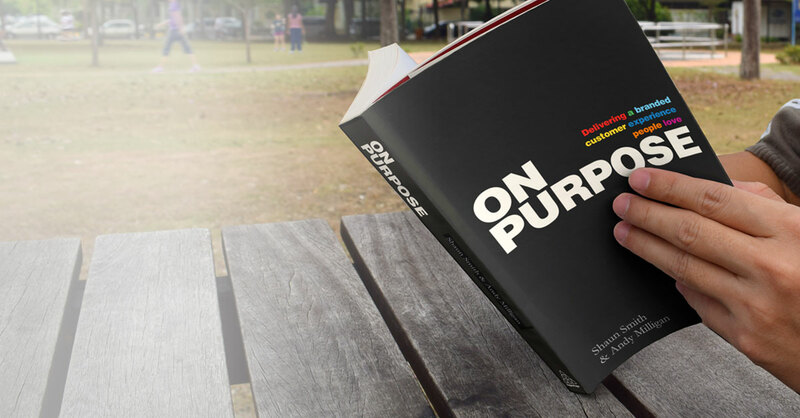 It’s a practical approach to customer experience and is an extension to our book: On Purpose – Delivering a Branded Customer Experience that People Love. It builds on our many years’ experience in helping brands such as Burberry, Nissan, Premier Inn, IHG, O2 and Liberty Global, create differentiated customer experiences that are ‘on purpose’. It will help you think through how your purpose can drive your strategy, brand promise, customer experience, products, processes, service and people – and, most importantly deliver real value to your customers. Purpose provides a context for everything you do. Whether you’re embarking on transformation or tackling specifics, this toolkit will guide you in the right direction. Access the free Toolkit online now. On Purpose is available at Amazon or direct from the publisher; click on the links below to order your copy now. Order now direct from Kogan Page. To share purpose-led thinking and inspiration within your organization, and to bring it to life for your colleagues, take advantage of the On Purpose Keynote Presentation and Masters Programme. In this high-energy, engaging multimedia presentation Shaun Smith and Andy Milligan take you deep into the minds of the executives featured in the book. They identify the key insights underlying these organizations’ success – principles that you can take away and apply to your business. You will be inspired to develop new ideas to exceed your customers’ expectations, and be given the tools to translate these ideas into practical actions that will accelerate your organization’s growth. In designing a keynote presentation to meet the specific needs of your event, Shaun and Andy will draw upon stories and examples from their research that are most likely to resonate with your audience and align with the themes of your conference. Led by Shaun Smith and Andy Milligan, the one-day or two-day On Purpose Masters Programme allows for even greater immersion and intensive coaching in the principles of On Purpose. This new and unique workshop takes executive teams through the eight practices common to purpose-led brands and applies the learnings in a highly interactive way. The one-day programme uses case studies to illustrate the principles, and the two-day programme allows you to apply these principles to your own situation with coaching from Shaun and Andy, who have over 40 years combined experience and expertise working with leading brands. If you have already embarked on a customer experience initiative but are ready to take it to the next level, or things are still moving too slowly, The Masters Programme is for you. A survey of your delegates will be conducted as part of the programme, and a report of the findings compiled. This will be used to guide discussion and to focus on the areas of opportunity in your organization.